On your mobile device, download Kaizala from your mobile app store, like the Google Play Store. Tap Get Started, Continue and then Allow. Enter your name, country code, and phone number, and then tap Next. 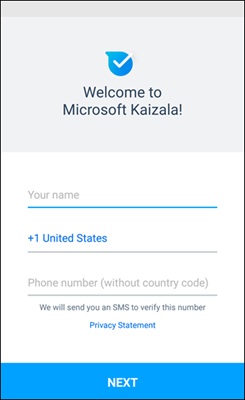 Kaizala verifies your number and imports your Contacts.